Guys, I have to let you into a little secret, I've never used a setting spray! I know, but I just thought that setting sprays would on be used on nights out and never for like normal day to day use and almost all of them are matte look and you guys know I am ALL about the dewy/glowy fresh look. 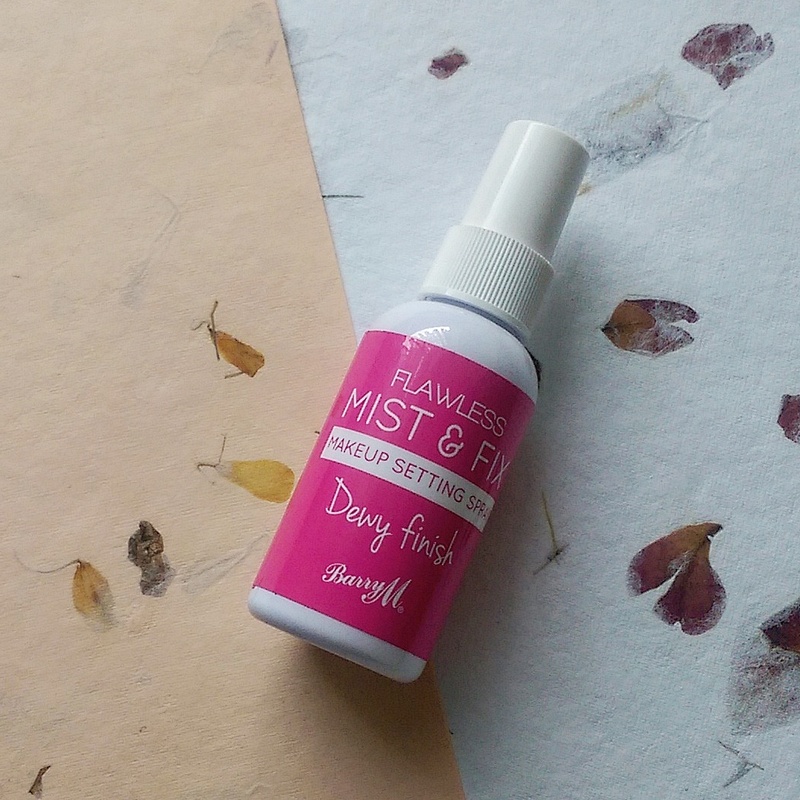 That was until I saw this little gem in Boots in Oxford St and thought I would give it ago, it's the Barry M Mist & Fix Dewy Setting Spray. Since working in London again I just felt like my make up wasn't lasting like AT ALL by half way through the day i just looked crap quite frankly and it was stressing me out a bit, I tried other foundations which just didn't work for my skin so I was at a loss until I saw this setting spray and thought I have nothing to lose. You have to bear in mind that I put my make up on at 6am, then I have to get a bus, 2 trains and walk 20 mins to the office in the morning, I then sit in an air conditioned office which gets really stuffy and a little stagnant so it's no surprise that by midday my makeup isn't looking fresh. Right from the first day I tried it I noticed the difference it made, half way through the day you could still see my highlighter and contour as good as I did it first thing in the morning. Eyeliner no longer run underneath my lower lash line, and my base just looks so good. At times it makes my skin a little shiny but it doesn't look bad, it doesn't make me look sweaty or anything nasty, just gives me a really lovely dewy finish. I give myself like 3 squirts, 2 in a criss-cross motion on the lower half of my face and then 1 just towards my forehead. It's important to keep a good distance between you and the product because if you spray too closely you just end up getting really wet which kind of defeats the objective of the product. My only grumble is that I wish this was in a bigger bottle, that said, I have probably used it for at least 4 of the 7 days during the week for just over a month and it hasn't ran out yet so it ain't too bad! It's crazy but this little Barry M Setting Spray has made a difference to my confidence with my make up because it allows me to wear the stuff I adore but just keeps it in place for longer and I don't feel like I look crap when I am walking around the office any more. For me, this product was easily the best product of 2017 - hands down! Do you use setting sprays for everyday wear?